Is the world really crumbling? Or is there a global rebalancing of powers underway? Does this process have any rules? 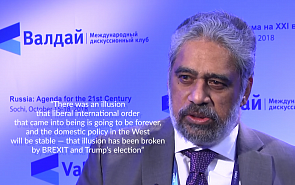 C. Raja Mohan, Director of the Institute of South Asian Studies (ISAS), National University of Singapore (NUS), discusses the new world order, the logic behind modern international affairs and the role of India and China in today’s world politics.